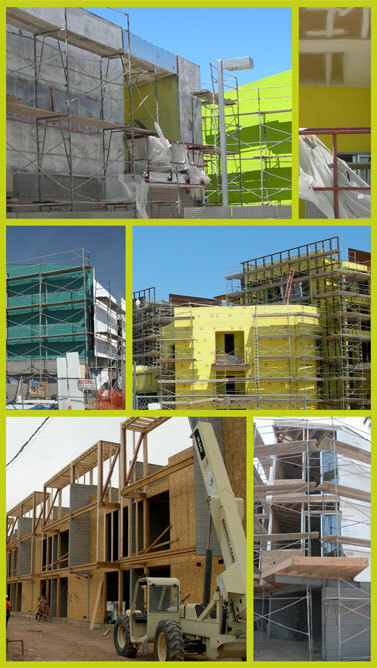 The trend towards multifamily urban development is not only happening in Phoenix, but all over the country. In cities like Austin and Portland, where the population is increasing rapidly, multifamily urban infill is becoming the go-to form of development to handle a new type of population boom. Rentals have traditionally targeted students or low-income families. But, now there is a shift in the rental market, as more and more 20 – and 30 – somethings early in their careers want to live in the urban core. This market segment places great importance on location – being close to the energy of urban living – as well as residences based on community with shared amenities, hence the gravitational pull towards urban multifamily rentals. Continued growth in cities like Austin and Portland have left fewer attractive, undeveloped parcels within the urban core, placing even greater value on infill properties that can meet young renters’ desires for community and urban living. These factors have raised land values in the urban core in many cities, including Phoenix. Smart developers are maximizing every square inch of valuable urban land, finding just the right number and size of units to ensure a return on investment, limiting surface parking and providing connectivity to adjacent amenities and activities, including parks, shops, bars, restaurants and events. Developers are finding that the urban living that appeals to young professionals is often informal – more about community and social connectedness rather than square footages and finishes. Young professionals like spending most of their free time outside the home with peers at nearby bars, clubs and outdoor destinations, according to Brent Spraggins, contributing writer for Austin Business Journal. Spraggins says that the proximity of drinking hot spots and popular events is often the key factor that makes tenants pay a premium for urban living. Besides location, says Spraggins, it is important for developers to provide shared amenities in their multifamily developments, like outdoor bars, barbeques and pools that encourages the communal lifestyle spent largely outside the home that is so popular with young professionals. Beyond attracting young professionals, dense, multifamily urban infill development could help cities like Phoenix recover from earlier planning mistakes. Due to leapfrog development, Phoenix development spread further and further out, leaving lots of gaps in the form of vacant land in the urban core. These vacant urban lots are now brimming with potential, as the urban lifestyle once again becomes a desired mode of living. Phoenix developers like Jarson & Jarson client Dora Castillo (see our entry from January 18 to find out more about Dora and RD Design) are recognizing these new trends and the value of infill. Her infill projects in vibrant nodes around the city, such as midtown near Osborn and 7th Street and Central north of Indian School, reflect this new sea change from far away, spread-out suburban life to close-in, more communal urban life. Now that the economy is coming out of its doldrums, Phoenicians, Austinites and Portlanders can expect to see a lot more cranes in their urban core, as multifamily urban infill projects pick up steam to accommodate a younger demographic.